Take your basketball abilities to the next level with this exciting camp. Gaining a leading edge on the basketball court requires continual improvement of skills. Youth Outreach Ministry Basketball Camp provides thorough training in an uplifting Christian environment to help you reach your potential. Led by the Pensacola Christian College Eagles coaching staff, this basketball camp emphasizes personal skill development and Christian sportsmanship to apply now and throughout your future basketball endeavors. Daily basketball exercises and training include offense/defense skill building, ball handling, shooting, and rebounding, with skills put to the test in daily scrimmage games. Registration closes Wednesday, June 20, at 8 a.m.
Competition in 3-on-3, free throw, 3-point shoot-out, and hot shot will challenge you as you strive for a spot on the camp All-Star teams. Awards are presented to competition winners, as well as to the best offensive player, best defensive player, and Hustle Award winner. All participants receive a certificate. Challenge yourself daily in skill development in four stations: ball-handling/passing station, shooting station, defense station, individual and team development station. Each 45-minute station is packed with instruction, demonstration, drill work, and competition. Catch new ideas in enhancing yourself as a teammate. Areas may include playing with confidence, focus, motivation, mental toughness and commitment. Participate in various team-building activities and discussions. Compete each day in 3 on 3 competition and 5 v. 5 play learning to execute improved skills in realistic, live-game situations. Both 3 on 3 and 5 v. 5 play have pool play and then an exciting tournament to finish the week. An All-Star game will be played at the end of the week featuring the top players in each age group. Basketball Camp is held in the PCC Sports Center arena, home to the PCC Eagles intercollegiate basketball team. Regulation-size courts in the PCC Field House provide additional space for games. 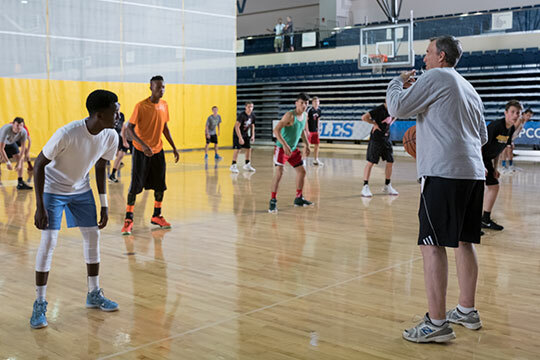 Coach Mark Goetsch enters his 39th summer of basketball camps assisting young people with learning the game of basketball and learning life skills through the game such as teamwork, working through difficulty, and doing a job well. He has worked camps in California, Oregon, Washington, Wisconsin, Maryland, Virginia, Georgia, Florida, and Colorado. Coach Goetsch completed his 24th year as the coach of the men’s basketball team at Pensacola Christian College, where he teaches and is the Athletic Director. 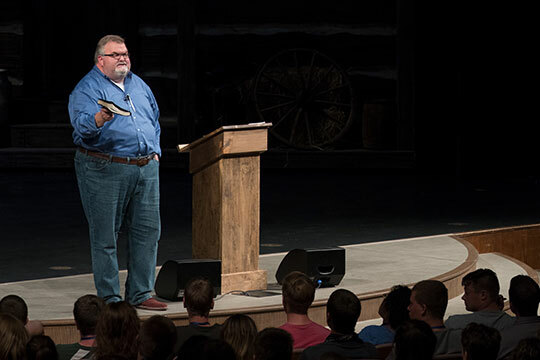 Shane Lewis has served as the senior pastor at Somerville Baptist Church for 9 years. 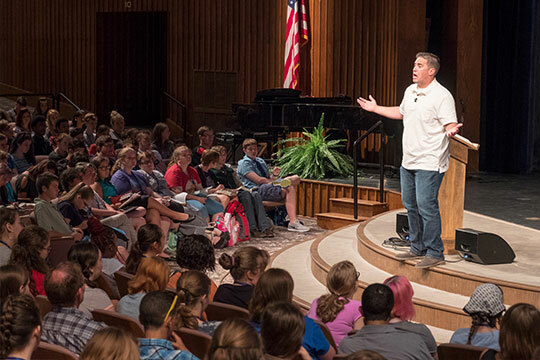 His tender heart toward God and young people shines out every time he speaks at camp.